Who doesn't love a lemon cake?, especially in the spring (which can show up anytime now). 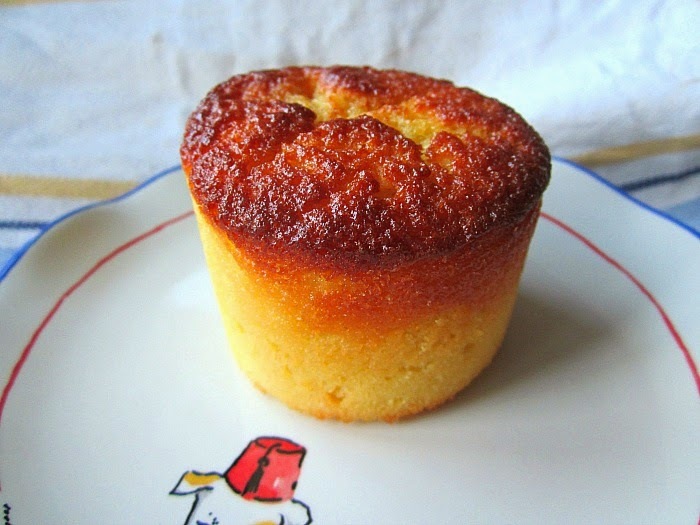 These are the perfect little cakes for Easter. You can make them in cupcake liners and put them out at brunch. In another bowl mix the butter, sugar, lemon juice and zest, eggs, vanilla and yogurt together. Gradually add in the dry ingredients. 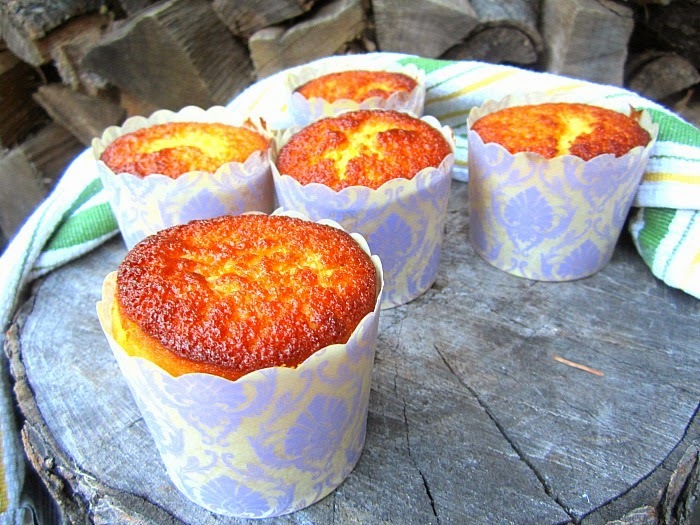 Drop scoopfuls of batter into lined muffin tins and bake at 350F for 20-25 minutes. Is this recipe good for 12 muffin tins? thank you and have a nice weekend. It's good for 10 muffin tins.....I use big paper liners, so I only get about 8 or 9. Count me in. 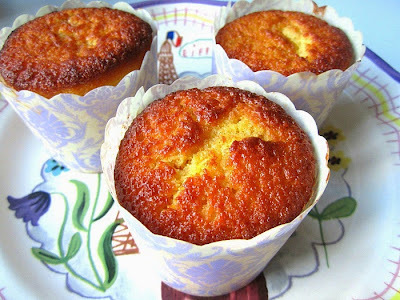 I love lemon cakes. Lemon always reminds me of spring, count me in too! I first found them at TJ Maxx (Home Goods), and loved them, so I re bought them on amazon, look under muffin liners......these are about $8. for a pack, they are large, heavy paper and wax lined, beautiful colors too. What a lovely idea for an Easter treat. Sorry, the butter always goes in w/ the eggs, sugar stuff. I hope they were still ok!